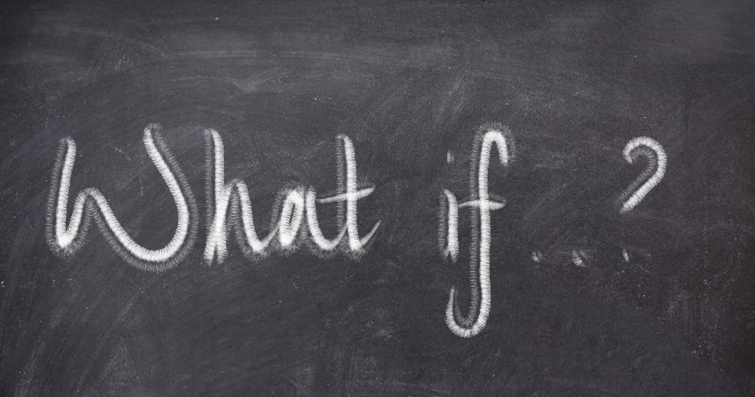 I got quite a lot of positive feedback from my first What If post – but very little further interest (I’m still intrigued to know what ideas people have about using PP funding for developing the cultural aspects of a school – in order to improve educational and life experiences for students who are less likely to get same outside school). This week, the baseline test providers were published by the DfE and a lively debate has been asking what the point of the baseline tests will be, how will schools be held to account with it and whether schools might purposely engineer the tests so they are biased towards the lower end, thus making it easier to show better progress over time. @Samfr I don’t get how kids can have a reliable baseline in reception. This seems at odds with what is known about cognitive development? @MissJones_14 essentially great degree of variability that starts to settle down once common school experience has begun and children age. @MissJones_14 I think this sort of information should be collated for formative purposes and data research but not accountability/tables. Now, a caveat. I’m not an expert on cognitive development at reception – I’ve read about cognitive development theories when studying to become a teacher, but a lot of the popular stuff seems to be discredited or superceded. So I bow to anyone’s superior knowledge on this sort of thing, but the way I understand it is that there is a high level of variability in development during the early years <4 that is highly dependent on both environment and genetics. 30 (ish) children come into a reception class and they are baseline tested. That is their baseline for the rest of their school educational lives. Schools will be judged on that!?! No normalising effect of the new environment will have taken place. It’s received wisdom that August children on average have a disadvantage because they enter school younger than everyone else but at the same time teachers report that they tend to catchup after about 6 months. The environment and adjustment to it will affect children in very different ways. The baseline tests are from 6 different providers – how can they be comparable? The noise in the small sample of a school year group at the start of reception will be huge. So do I think we should have baseline tests? Possibly, yes. they could a useful formative tool for teachers and schools as they get to know their new students? But they should not be used as accountability measures for progress. [EDIT : I’ve already had two people remind me that at the end of early years the Early Years Foundation Stage Profile is completed. This provides a suitable formative reference for teachers. Could it be used as data for researching progression through school? I’ll also add a link to @Sue_Cowley’s must read post that delves into the problems with the baseline tests and why we must not tolerate them. What do you think? Respond in the usual way. Twitter #eduwhatif or comment below. Agree that they might have some real valuable use for data for studies of the sort you suggest. But as you rightly note – the accountability problems are still there, and may even damage the validity of the data for other purposes.